Skrill is one of the most popular deposit﻿ ﻿﻿methods that is used to fund online poker site accounts. The e-commerce company is a licensed and regulated poker payment provider featuring a digital wallet. Skrill can be loaded with ease and used to safely, securely, and anonymously deposit to online poker sites like Party, 888, and others. Skrill can also be used to withdraw winnings. 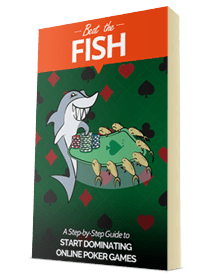 Using Skrill is simple, but if you've never made a poker deposit with it before, it can be intimidating. I'd like to help. Skrill is an online payment processing company operated by Skrill Limited, a UK-based company. Skrill helps makes it safe and very easy for consumers and poker players to shop online and transfer money to another person, website, or company. 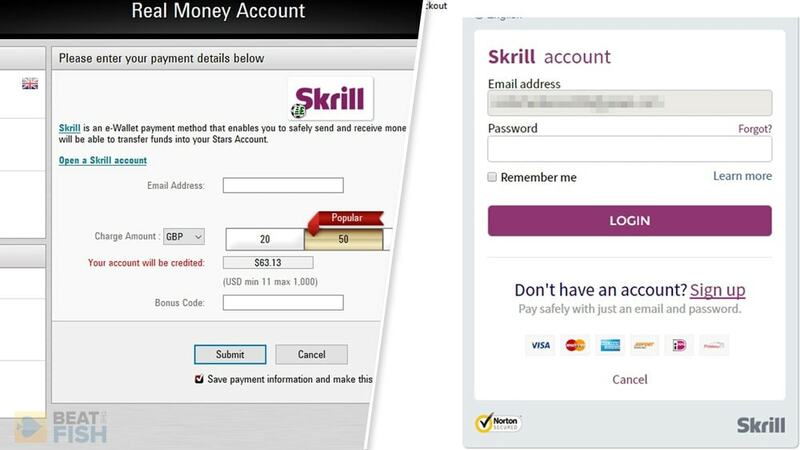 Skrill was launched as Moneybookers in 2001 and quickly became a common e-wallet used for online poker transfers. The very next year, the company became Europe’s first electronic money issuer to be regulated by the UK Financial Conduct Authority (FCA). In 2007, Investcorp Technology Partners purchased Moneybookers and two years later, the company partnered with eBay. In 2010, the company rebranded as Skrill and the following year it expanded its product range by introducing Pay by Installments and Pay by Invoice. In 2013, Skrill acquired PaySafeCard, one of the top online payment providers in Europe. The following year, the company acquired Ukash, another popular wallet used for online poker, to strengthen its PaySafeCard product. Players can create a new Skrill account for free and make poker deposits for free. Players can use their Skrill wallet without giving the poker site their banking details. 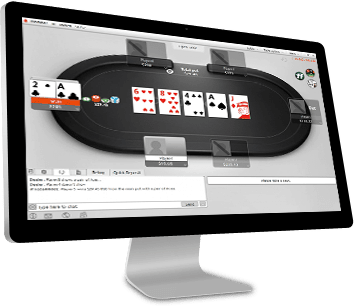 Transfers from Skrill to online poker rooms or any other merchant are instant. Skrill is mobile friendly. Real money poker apps almost always include Skrill from the mobile cashier. Some online poker sites offer extra bonuses of 10% or 15% on deposits made using Skrill. Almost every poker site accepting Skrill has a very low minimum deposit. PokerStars has an odd $11 minimum. Poker players can create a Skrill account free of charge and the process hardly takes a few minutes. Next, they must load their Skrill wallets with funds using any of the deposit options that Skrill offers. The loaded Skrill wallet is now ready to be used for making poker deposits. 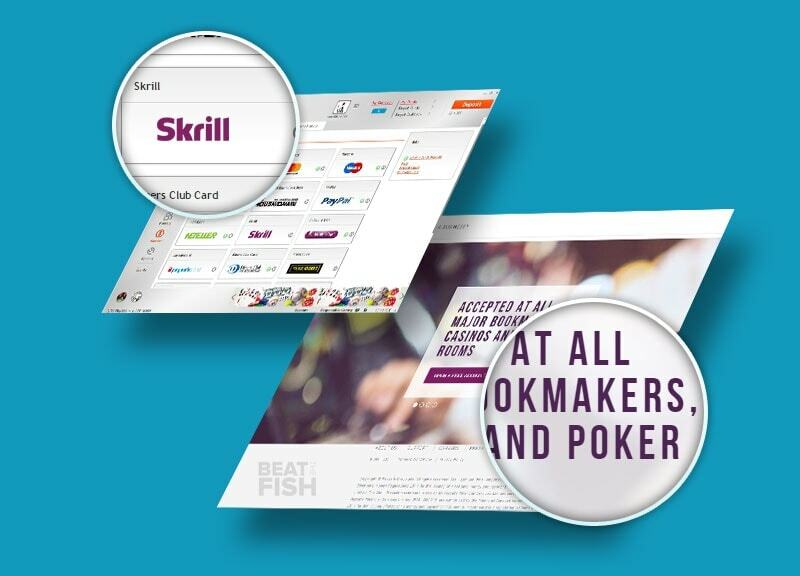 Since Skrill is a popular online payment provider, almost all reputed online poker sites accept Skrill as a deposit and withdrawal option. 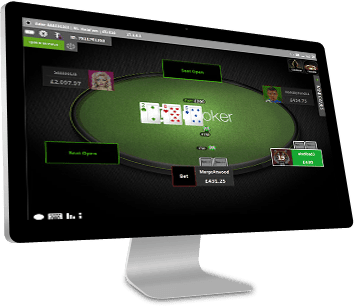 Players can create a new account at any Skrill poker site of their choice. 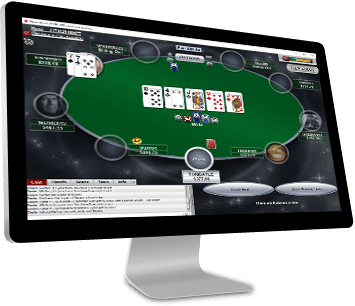 Poker players should now login to their gaming accounts and visit the poker site's Cashier. They have to then select Skrill as their preferred deposit option and input the amount they would like to deposit. They will be immediately taken to their Skrill account page from where they can initiate the payment. The funds will be instantly transferred from players' Skrill wallet to their online poker account. 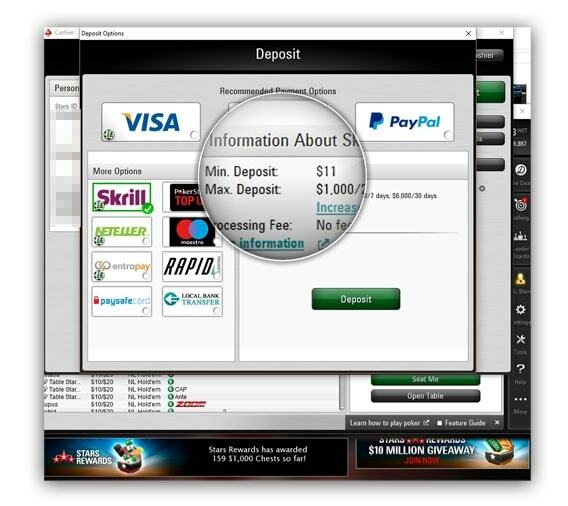 The actual Skrill deposit process at poker sites is extremely simple. After you've chosen Skrill in the cashier, just choose your deposit amount, log in to your account, and approve the transfer. Skrill will then instantly send it to the poker room, which usually results in your deposit being usable at the tables right away. 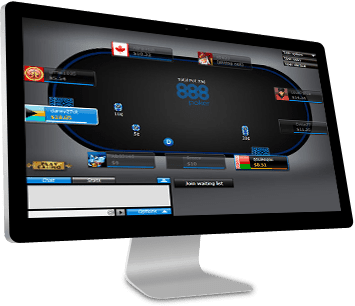 How easy is Skrill to use for online poker? Skrill is extremely easy to use and the account creation process is in many ways similar to creating an email account. Once you have your Skrill account, all you need to do is load the Skrill wallet with c﻿﻿as﻿﻿h and you're ready to shop online and make poker deposits. How safe is Skrill to use at poker rooms? Skrill is Europe’s first licensed electronic money issuer and is regulated by the UK Financial Conduct Authority (FCA). Since Skrill uses the latest encryption technology, all poker player information is encrypted while being transmitted online. This makes the data unreadable to any unauthorized party that may gain access to it. The online poker site you're using Skrill with actually never has access to the financial information you have stored at Skrill. Skrill gives top priority to account security, which is why it uses the Google Authenticator to provide an extra layer of security to player accounts. In addition, Skrill's Two Factor Authentication (2FA) requires poker players to input a code sent to their mobile phones through text message along with their email address and password. Will I get a deposit bonus if I use Skrill? Yes, new players can qualify for a deposit bonus at an online poker site by making their first deposit. You will get your bonus regardless of the deposit method you use. 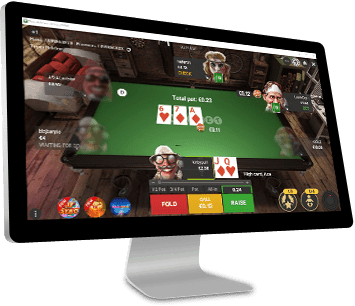 In fact, some online poker rooms also offer an extra bonus of 10% or 15% if players use an electronic wallet such as Skrill, Neteller, or Paysafecard. What about a Skrill bonus code at Party, PokerStars, and 888? When depositing with Skrill at the online poker site's cashier you may see a field for entering a Skrill bonus code. This is reserved for special Skrill promotions given directly by the poker room. You don't need to enter anything here. 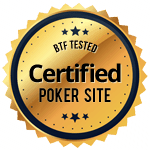 You're already guaranteed the maximum bonus given to Beat The Fish visitors simply by visiting the poker site from links on this page. Can Skrill be used on mobile poker? Yes, Skrill's infrastructure was designed to allow players to use it via mobile. Every real money poker app I reviewed accepted Skrill directly from the mobile cashier. How long do Skrill poker deposits take? 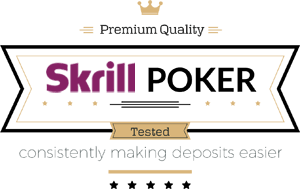 Skrill deposits are instant at most online poker rooms. The transfer may take up to 10 minutes or longer at some online poker rooms. Can I receive withdrawals from online poker sites using Skrill? Yes, Skrill serves as a withdrawal method, too. The exact time taken for the winnings to get credited to players’ Skrill wallets depends on several factors such as the poker site’s policies and players’ VIP level. 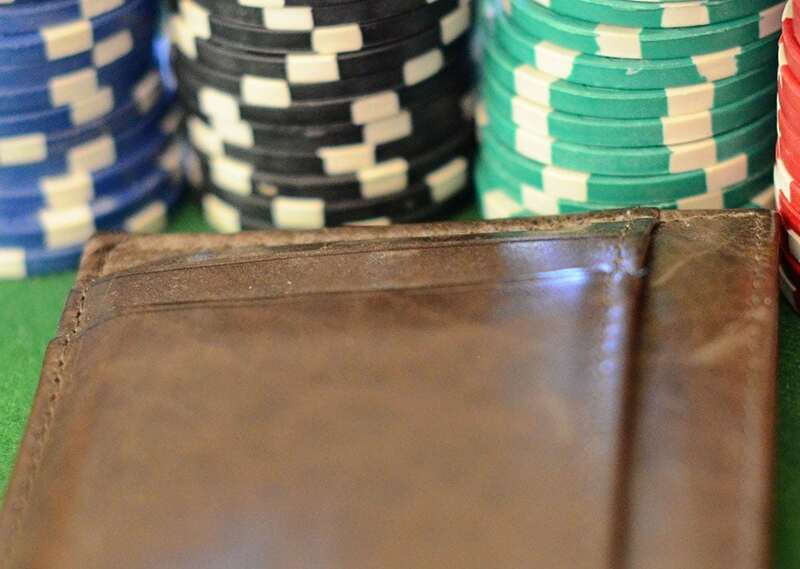 Usually, online poker rooms credit winnings to players’ Skrill wallets in less than 5 business days. Some sites will process payouts to regular players within minutes. Poker players can then withdraw funds deposited in their Skrill accounts using Visa credit or debit cards, Bank Transfer, or the Skrill Prepaid MasterCard Card. Withdrawals through Skrill Prepaid MasterCard are instant at ATMs all over the world, but withdrawals through Visa credit/debit cards take up to seven days while Bank Transfer withdrawals take up to five business days. Do Skrill poker sites charge fees? No, Skrill poker sites do not charge any fees for making deposits or receiving withdrawals. Can Skrill be used for US players? Skrill can only be used by USA players physically located in New Jersey, Delaware, and Nevada on state-licensed poker sites. Skrill is also available to US players in more than 30 states for use at horse racing sites. Think of Skrill like an online wallet that connects with your bank account or credit card. When you make a deposit with it, you never have to share that banking information with the poker site. Can Skrill be used ﻿for﻿ US players?